What would you call it when you throw an event and 2,500 people show up? We’d call it a great turnout! 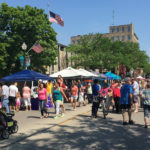 On June 25th, Fond du Lac held its first ever Community Resource Fair, featuring booths and information from 26 local organizations dedicated to providing outreach to those in need. 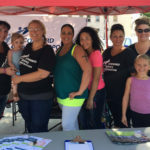 A variety of services were represented, from housing to animal shelters, family planning to special needs, and support for body and soul. 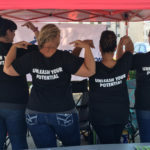 This was a great opportunity to share resources with the public and to grow together as a community, facilitated by FSC, the Downtown Fond du Lac Partnership, and the Fond du Lac Area United Way. 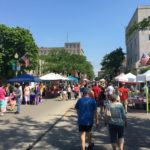 Thank you to the Downtown Fond du Lac Farmer’s Market for providing the perfect location for the day and to each of the organizations and people who attended. 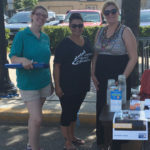 We’d also like to give a big shout out to our customers Shannon and Viviana for their dedication and hard work during this event. 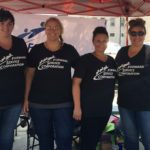 Helping people is what we’re all about, and we had a great time working with you on this sunny Saturday.